If the icy cold winter weather is getting you down, we know exactly the place to warm you up and put a smile back on your face. Over at Betfair Casino, customers are being given the chance to escape the chill by enjoying free spins every day on the Winter Warmer slot. Every single day between the 11th and 25th of January, Betfair players can play one totally free spin on Winter Warmer. This daily free spin could result in some brilliant bonus prizes which are guaranteed to give you that warm, winning feeling. All you have to hope for when you play your daily spin is that you find at least three matching symbols. 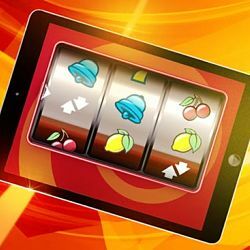 Match three cherries, bells, arrows or lemons and you will be treated to between five and 50 free spins. The free spins you win can be played at any of Betfair’s hundreds of hugely popular slot games. This means that the promotion could lead to some massive real money prizes. To play along with this promotion, all you have to do is sign into your account every day right up until January 25th and head over to the Winter Warmer slot page. When you arrive at the slot, all that’s left to do is click ‘Play Now’ to kickstart the offer and start the three reels spinning. If you’re lucky enough to find three matching symbols across the reels of the slot, your free spins will be credited to your Betfair account within 48 hours. With a brand new chance to win free slot spins every single day, this is one promotion that really does pay. Since Winter Warmer is a special promotional slot which doesn’t dish out real cash, it is extremely simple and fuss-free. True to the name of the game, the colour scheme is filled with fiery reds and oranges. Symbols on the reels feature traditional images you might expect to find on a good old-fashioned fruit machine. This promotion is only open to Betfair casino customers with funded accounts. New members are welcome to take part; however, they must make at least one real money deposit before qualifying for Winter Warmer. It is important to note that the offer is only available once per day, per customer. This means once daily per family, home address, email address, bank account, IP address and telephone number. The Winter Warmer offer began on January 11th and remains active until January 25th. Only players who sign into the site during this promotional period will receive free spins on the slot. All winners will receive a message informing them how many free spins they have won and will have the spins credited to their account within 48 hours.